The large monolith ship "Capricious" used by Dragons Gear appears to have been supplied by Sore Cogs Galactical. KIDDER, MARS - Controversy has erupted in the wake of an attack on Baldurs Syndicate, casting doubt on how the intergalactic community will handle violations of Terran laws both now and into the future. The attacks, launched on turn 43902 and carried out by a group known as Dragons Gear, targeted and destroyed a military installation at Kidder on Mars. The fighting also destroyed the “Planet Express”, a warp freighter inbound to that location. Baldurs claimed the freighter was returning from an education cruise for children, and was holding over 6000 individuals, most of whom were children. Gorion Irenicus, CEO of Baldurs Syndicate, described the incident as “murder”. Discussion is now focused on if and what penalty Sore Cogs might face for violating Terran Law. Previous incidents have generally involved strict penalties as well as forfeiture of assets in reparation. These sanctions have often been enforced by the ARK group, of whom Sore Cogs is a member. BREAKING: Dragons Gear has just posted a general statement on the galactic communications channel: “Time to go for the jugular... Sir J of the Sore Cogs, Grand General Springer is coming for you! The Sore Cogs Nation will be put in line and follow my lead…enough of this sad chat, time to rule with some real gear!” The official Corp-net listing of Sore Cogs Galactical has been renamed “Sore Cogs Dragons Gear”. The state of the leadership or the stability of the corporation is unclear at this time. The "Wasp", among the fastest ships in the galaxy, has nearly completed its' journey to the center of the Milky Way Galaxy. ILIAS, GULYAEV II: A significant exploration mission has nearly reached its intended destination after traveling over 8,600 turns. The mission, conceived of and launched by Luna Moth Industries, seeks to reach the absolute center of the Milky Way Galaxy. The mission is being conducted by the “Wasp”, a heavily modified Zenith Hypercraft originally discovered through the research teams of Echos Echo. The Bookshelf Research Group at Luna Moth Industries made the modifications to the ship that have made the voyage possible. The vessel, armed only with a 2 man crew, launched from the Door of Night warpgate a few hundred turns before 40,000. The voyage is anticipated to arrive at its destination in approximately 2 days on turn 48,630, making the voyage by far the longest journey undertaken in the known galaxy. Due to the nature of the warpgates, the crew members will most likely give their lives for the sake of the mission, with no clear path of return to Sector 1. Critics of the exploration mission have pointed out the unnecessary use of a manned mission and the loss of these lives, when an AI Hyperfighter could have been used instead as an unmanned mission. Scientists are unclear what, if anything, will occur when the ship arrives at its destination. The crew has thus far reported no notable observations about the universe. The Imperial Port in orbit over Earth, currently under blockade by Safehold Corp.
MEXICO CITY, EARTH: The planet Earth has come into a period of instability as Safehold Corp has made series of raids that have resulted in the deaths of over a million inhabitants of earth. The raids occurred in the cities of Madrid and Wellington, targeting corporations with large stockpiles of relatively undefended materials. The government of Earth, led by newly elected emperor Liam Ebonwood of Templaris Inc, has not made a response to the attacks and did not immediately respond to a request for comment by GNN. The newly established regime has often been hindered by a lack of resources and defensive measures, and appears to lack the means to defend the corporations of Earth effectively. Safehold Corp has now positioned his fleet in a blockade of the Imperial Port. Cayleb Ahrmahk, CEO of Safehold, believes that the port should be transferred to the Earths’ rightful ruler per the call of the cult group Haedus Disciples – a group of religious extremists who claim to have received a vision calling for the redemption or destruction of the spaceport. It is unclear at this time if the raids also conducted by Safehold are connected to the religious teachings of this group. Statements made by Ahrmahk did not cite any religious reasons behind the attacks in Madrid and Wellington. The official statement from the corporation said the raids were made to recover valuable goods located in the store rooms of companies described by Ahrmahk as "falling apart" and reclusive". Growth in Ilias has seen massive construction projects undertaken. The financial center hosts some of the tallest skyscrapers in the galaxy. 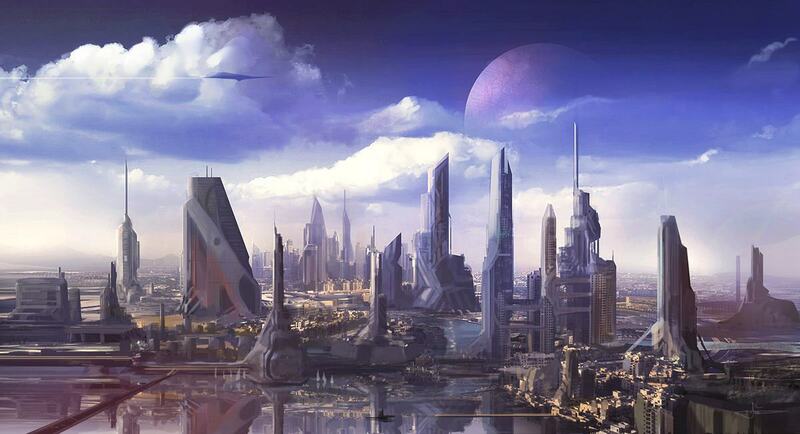 ILIAS, GULYAEV II: Following a long period of recession in Gulyaev, the main planet of Gulyaev II has sprung back into life, led by the unprecedented growth of the capital city of Ilias. The city, now home to over 53.6 million inhabitants, has well surpassed Sicardy in the Sirius system as the most populated planet in the galaxy. The growth in the city is attributed to the leadership and strategic vision of Emperor Reginald Flywheel of the newly formed United Cogs Republic. Under his leadership the city has added nearly 50 million inhabitants. It appears the city will remain at a high population level for some time due to the long-term planning and oversight of the Cogs Republic leadership. When asked about the success of the city, Emperor Flywheel cited his planning abilities and carefully though-out strategy as the reason for his success. Cogs Republic has sold He stated that the incredible growth of this city can be held up as a model success story for other mayors to strive for. The growth comes after a contentious period for the Cogs Nation. Prior to Emperor Flywheel taking control, the group fell under the leadership of General Springer, a radical military strategist who supported mercenary actions in the galaxy. Under his leadership, the group was accused of flagrant violations of Terran Law concerning multi-accounting, and was involved in several military incidents, including a series of engagements with StarCorp in the Rigil system. StarCorp has since restructured as Boldor Galactic Inc.
United Cogs Republic has not shown any interest in aggression after Emperor Flywheel took control. Gulyaev II is now the most populated planet in the galaxy, surpassing Earth, which currently holds a population of 69.8 million people. 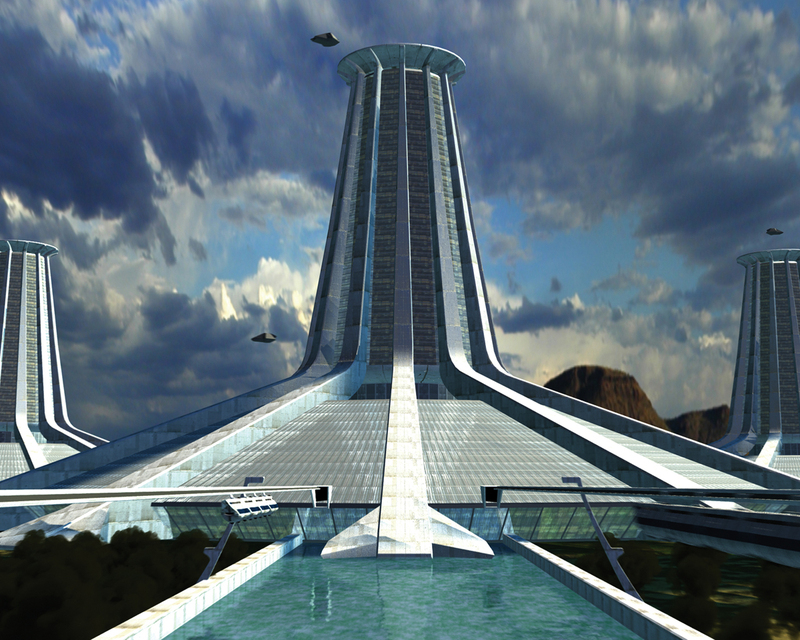 TIGCA Headquarters at the Terran Governmental Complex. The commerce authority recently announced significant changes to its asset reporting requirements. MEXICO CITY – The Terran Inter-galactic Commerce Authority (TIGCA) has announced sweeping changes to the way it handles corporation asset reporting. The announcement came following the results of the research done by Sweet Fruit Supply economists, who were able to provide a much more efficient method for the Terran Federation to track corporation assets. The Terran federation appears to have fully embraced the new method. The change in Terran law, which at first appears to be insignificant change, will have tremendous impact on the efficiency of corporations, according to the research report published by Sweet Fruit Supply. Any corporations participating in inter-galactic commerce was previously required to keep strict logs and reports of asset locations at all times, to be submitted daily to TIGCA. The new changes provide an automated way for corporations to easily log their assets to TIGCA, which should greatly reduce the time needed for corporations to track and manage their assets. Numerous corporations have previously ceased their inter-galactic trade activities due to the immensely prohibitive measures that had been in place. This change could attract some of these corporations to restart their former operations. Though this marks a great step forward, opponents still cite the government oversight of corporation assets as restrictive and controlling. 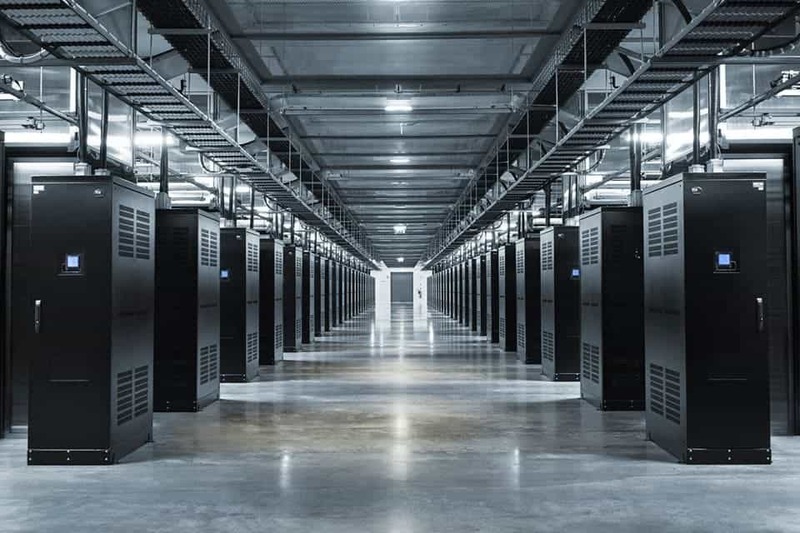 The recent changes do not appear to have any provision to reduce the reporting that requires all assets to be logged to the government at all times. The public nature of the records held by TIGCA allows any corporations’ assets to be viewed at all times by any individual; this includes the location and order assigned to all assets in a corporation. TIGCA made no comment in response to the complaints. Following the publishing of the research report, sources have stated that Sweet Fruit Supply has received an ultra-advanced battlecruiser from the Terran Federation as a reward for their loyalty and dedication to the government. 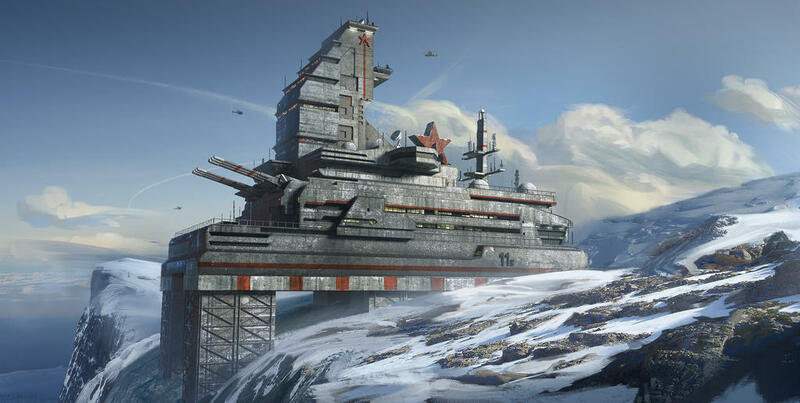 Even with successful discussions between Ark and FaT, the corporation Nynoxaff has continued to build his military bases in and around Moscow. QUESTA, GULYAEV II: Tensions are subsiding between Earth and Gulyaev as the Ark Group made a public bulletin concerning their support of a combat free earth for active corporations. The statement came after a period of uncertainty for earth-based corporations, brought about by the small raid and subsequent military build-up by Nynoxaff, as well as the sometimes brash rhetoric used by members of the Ark group. The Earth based corps of the guild Fidelis ad Terram held concerns that the Ark leadership had sanctioned the attack conducted by Nynoxaff. It appears that the Ark group published the bulletin in response to information leaked to them through an undisclosed source. The public release from the Ark group included affirmation that Ark will not condone military action on earth, and called for discussions concerning the proper action in regards to defunct and inactive corporations. Discussions have now begun between Ark and Fidelis ad Terram concerning the issue of potential military action against inactive corporations on earth. Despite the talks, no discussion has been made publicly concerning the continued military build-up of Nynoxaff in Moscow. The corporation continues to build large military complexes in and aorund the city, according to local authorities. Numerous servers and databases were infected with a virus from Cellozz Inc that stole millions of credits from corporations. CAIRO, EARTH: In a surprising turn of events several days ago, an AI Supervirus escaped containment from a Cellozz Inc research facility. This malignant code has ravaged its way across the planet, disrupting hundreds of corporations and resulting in millions of credits of lost funds. Reactions were initially hostile, with a public statement by Exordium Inc. directed at Cellozz Inc. offering an ultimatum of complete dissolution should the breach in security be duplicated. In the wake of the accusation of malingering, speculation circulated as to whether or not Cellozz Incorporated had purposefully released the Supervirus as an underhanded method to acquire Earth’s wealth. Proponents of this theory have also noted the company’s 43% increase in net worth since the initial outbreak of the Supervirus as evidence for this theory. Following the outbreak, the Cellozz Inc. spokesperson stated that all safety measures had been in accordance with the Fidelis ad Terram regulations, but they would be investing in upgraded safety measures and containment systems going forward. In response, the Fidelis ad Terram organization afforded leniency on the corporation upon the promise that there would be no further disruption to Earth’s commerce. For now, however, efforts are ongoing to further contain the damage actively being caused by the Supervirus. Research Centers in Luyten were completely destroyed by bombardment from Boldor Galactic Fleets. MEXICO CITY, EARTH: A fifth alien artifact research site was nearly destroyed this morning as corporations continue to retaliate against one another following the surprise attacks by Boldor Galactic Inc. Fleets from Luna Moth arrived just prior to an attack group from Boldor Galactic in the Burkam system. The Boldor fleet appeared to be targeting research facilities owned Titan Industrial. As of the time of this report no fighting has been conducted in the Burkam system. The initial attacks were conducted by order of Lord Aedyn Rodrick of Boldor Galactic, who has declared himself the heir to the Epoch guild and has claimed rulership over the entire Luyten system. The decree included a ban against any corporation owning assets in the Luyten system. Sources have reported that battle fleets were already in transit to the Luyten system at the time of Rodrick’s declaration. These fleets attacked and destroyed 3 separate research locations as well as a mining fleet owned by Nynoxaff. The attack today was conducted by Boldor Galactic against Titan Industrial in retaliation for the destruction of the new research sites being constructed by Boldor in Luyten. The attacks by Boldor affected a number of corporations, including members of The Liason Federation, The Ark Group, and The Dogstar Confederacy. Thus far only the Ark Group has taken aggressive action against Boldor, and inside sources have indicated that The Liason Federation and Boldor Galactic are nearing a private settlement over the matter. It is unclear if the military action between the Ark Group and Boldor Galactic will continue to escalate, or if a peaceful agreement will be able to be reached. Nynoxaff has demanded reparations for their destroyed mining fleets, which Boldor Galactic has thus refused to pay. Other Ark members have threatened attacking civilian populations on Mars in response to the escalating conflict. Erben orbital shields quickly failed under the tremendous bombardment from the Ark armada. Estimates of civilian losses from the battle exceed 6 million. ERBEN, MARS: A combined armada of Ark fleets has brought an end to the conflict between the Ark guild and Boldor Galactic Inc after an extremely heavy bombardment and subsequent invasion of the city of Erben. The leader of Boldor Galactic, Lord Aedyn Rodrick, is confirmed to have been killed in the bombardments. The bombardment targeted fortified positions of Boldor Galactic in the city, destroying the defensive structures as well as any industry held by Boldor in that location. Ark had previously destroyed other industrial assets owned by Boldor throughout the Sol system before launching the attack on Erben itself. Nearly 6 million citizens were killed in the city as the Ark armed forces ruthlessly and efficiently drove out and destroyed the insurgent forces located there. It is unclear how much of the population had joined the resistance against the Ark forces, but numerous reports exist of civilian groups mass-attacking the Ark forces that were moving to secure portions of the city. Boldor has announced a total and complete surrender following the battle, and appears to be in the process of paying reparations to corporations affected by the previous actions under the leadership of Mr. Rodrick. It is unclear what the proposed terms of the treaty are at this time between Boldor Galactic and the Ark Group. Currently Boldor Galactic has continued to be based on Mars, and has begun rebuilding infrastructure there. Fidelis ad Terram, the guild that Boldor Galactic belongs to, was given an offer of 500,000,000 million credits to rebuild Erben, with the condition that Boldor no longer rule in Erben. It seems at this time that the offer has been rejected by Fidelis ad Terram. The sprawling metropolis of Questa the morning after the Solar Reducer was deployed by Boldor Galactic, Inc.
QUESTA, GULYAEV II, GULYAEV SYSTEM: The citizens of the Gulyaev System are striving to prosper despite the system wide terrorist attack carried out by the now deceased CEO of Boldor Galactic, Inc. and the people of Mars. The people of the Gulyaev System still mourn for the loss of nearly 20 million people that were killed in the attack. The effects of the solar reducer left many cities reeling from the unprecedented death toll. One of the hardest hit cities, Questa, accounted for nearly 10 million deaths on its own. The ARK Group, the protectorate of the system, immediately responded with intercepting Boldor Galactic, Inc.’s combat fleet in space while it was en route to reinforce the city of Erben, Mars. ARK continued to Erben with the wrath and calls for justice from its more than 200 million citizens. No compensation was received from Boldor Galactic, Inc. for its brazened attack on the system; however, the ARK Group carried out a calculated glassing of Erben, targeting assets of Boldor Galactic, Inc. and the bombardment of their Corporate HQ. Additionally multiple sites where Boldor Galactic, Inc. operated were glassed throughout the system. As reported in a prior article, the man responsible for the terrorist attack, Lord Aedyn Rodrick, was confirmed to be dead after remains were discovered from within the crater that was once Corporate HQ of Boldor Galactic, Inc.
Reports state that some of those killed in the attack were members of Cayleb Ahrmahk’s own family and those of several members of the ARK Group. This article first appeared on the Tellesberg News Agency. It has been reposted here with permission. “Some of us are heavily invested in our cities and planets, transparency and open lines of communications are critical if we are to survive and prosper. We are providers for our citizens and yet have no say in the economical impact the changes the Terran Federation have forced down our throats.” -Cayleb Ahrmahk, Safehold Corp. In addition to the regulation of products, cities across the galaxy are experiencing a significant spike in population. Terran Federation Officials have announced sweeping changes in the welfare program for all citizens throughout the galaxy. The Basic Living Credit, or BLC, has been created as a type of welfare payment issued to every family. The amount of the BLC is determined by the number of children or dependents each family has/claims. This unprecedented rollout has already seen its effects reaching across the entire sector. City populations are increasing at an unprecedented rate and corporations are slowly adjusting to the new regulations enforced by the Terran Federation. The pirate group attacked industries with heavy battlecruisers, in a reported raid on new alloy technologies being developed on the planet. 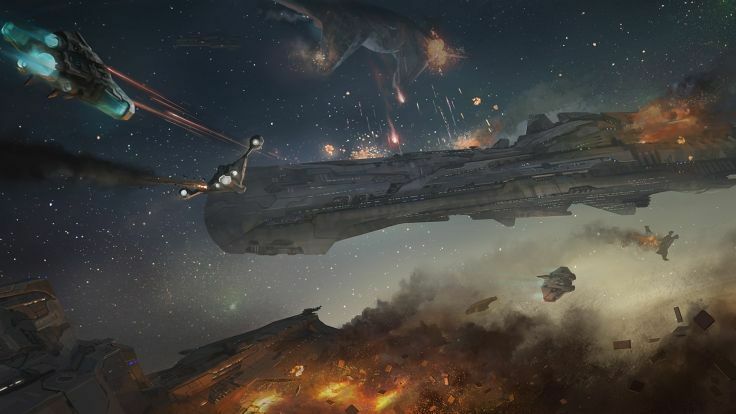 SICARDY, SIRIUS VIII: A large number of industrial sites have been destroyed or damaged on Sirius VIII this week by a large pirate group that had based on the planet. Raids began early on turn 63455, targeting less defended industrial centers located on the planet. Soon raiders had made an attack into the city center of Sicardy on turn 63458, before eventually launching subsequent raids in the cities of Lula, Harriet, and Brecher. A combined force from the Liason Federation eventually responded on turn 63612 and destroyed the raider base there, with some assistance from an Exordium armada based out of Sol. The response came over 150 turns after raids had begun, prompting inquiries into why the defensive forces took so long to respond to the planet-wide raids. Before the attack on the raider base, local defensive forces supported by the orbital gun OGN90622 were tasked with defending against overwhelming odds by the pirate forces. These forces proved unable to effectively counter the threat. Raiders were able to destroy over 120 logistic points of Industry owned by Kosmere Unlimited across the planet, as well as several other production centers owned by numerous other corporations. When asked about the motivation behind the raids, Emperor KarmicKoala stated: “The pirates were most likely motivated by our recent discovery of a new type of ALLOY. Unfortunately it was stolen in the raids, it took a lot of research at the sicardy site to uncover the details. We fear it will be sold to third parties. We were planning the introduction of new types of electronics and power cells.” These new technologies were to be called “Neo-Electronics”, and represented some of the most advanced micro-component research in the galaxy. The future of Sicardy remains uncertain at this point, with much of the raw material industries required to support the city destroyed in the raids. In a release to the press, Emperor Karmic Koala revealed uncertainty for the planet in the aftermath of the attacks. Karmic Koala is also currently Star Lord of Sirius. Should his corporation restructure, it is unclear if this title will be passed on to another planetary emperor or if Karmic Koala will retain it for himself. Sirius VIII is one of three planets in the Sirius system with an Emperor and is essential if Sirius is to retain a Star Lord for the long term. The EFA Headquarters In Karachi sits almost empty as the Imperial Financial Committee failed to allocate funds to the program. KARACHI, EARTH: The Earth Food Assistance (EFA) program implemented by Emperor Platini has been forced to shut down all operations when the Imperial Financial Committee (IFC) failed to agree on a budget allocation amount before the summer holiday break on turn 64100. The EFA was founded as a way to provide subsidized food to all communities on earth, specifically targeting the underserved markets. The program has proven to be financially unstable, forcing the IFC to pass periodic budget allocations from the imperial treasury to keep the program afloat. Funding was due to run out during the holiday break, and the failure of the IFC to allocate the necessary funds has seen the program temporarily shut down. Following the failure of the IFC, the EFA has been forced to shut down all distribution hubs on earth, and has had no choice but to cut funding to their essential utilities, including the security and refrigeration systems. The lack of security and proper food storage has resulted in the theft or total loss of over 2 million tons of food products held by the EFA. The state run farms were also required to cease operations. Bryce Grygnon, the commissioner responsible for the EFA, has been removed from office following the disaster. Emperor Gregius Platini has since appointed Jeffrus Aedard, son of former Starcorp CEO Davix Aedard, to take over as commissioner and to rebuild the program with a more stable foundation. The news has broken just as Emperor Platini has officially been reelected as Emperor. It is unclear if the issue would have affected votes in the election had the information come to light sooner. 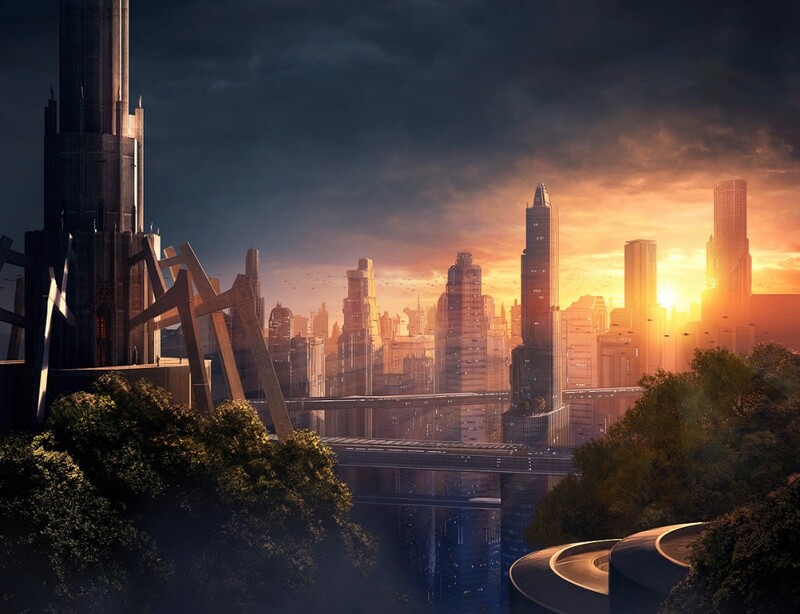 The gleaming Metropolis of Hycis on Yrsa I is a signpost signalling the success and ambition of the Sector 7 Consortium. CANTOR, YRSA I: The cosmopolitan towers of the metropolis of Hycis rise over the lush landscape of Yrsa I, which stand as a testament to the drive and vision of the new corporations that have sought to re-colonize Sector 7. Led by Xerothane of Yrsa Industries, the colony has attracted several new startups that have proven greatly successful in establishing and growing the new settlements in Yrsa and Gilliam. The sector population has exceeded 60 million, and has been drawing large numbers of immigrants from Sirius and Sol to settle there. The city of Hycis on Yrsa I has exceeded 30 million inhabitants, making it the 7th largest city in the galaxy, surpassing Sicardy in Sirius. The group of corporations has organized together under the Sector 7 Consortium, and is currently led by Yrsa Industries and Offworld Engineering. These corporations sought new challenges in Sector 7 after feeling constricted and un-challenged in Sector 1. The renewed efforts to colonize Sector 7 come after 2 previous failed attempts, the first led by the Sector 7 Expedition, and more recently by the Federation Starfleet guild. Both colonies began enthusiastically, but soon failed after the eventual withdrawal of support from the partner corporations, which caused financial strain and economic collapse for the colonies. The new colony has already proven more successful than the first two attempts, and holds ambitious plans for the future. The Terran Federation has unleashed a new chemical agent throughout the universe. S-11 Gratum Hydrochlorate, or what survivors named “Gratum” (where the Latin based “Serendipity” comes from). The effects of Gratum are widespread. Millions of citizens spanning across the stars have simply lost the will to live. Their homes forever darkened, the loved ones left behind have many questions, the loudest of which; “Why?” The Terran Federation has issued the following statement, “We cannot allow one city to be the economic center of the universe.” Needless to say, the heaviest hit system in this radical population control by the TF was the Gulyaev System. 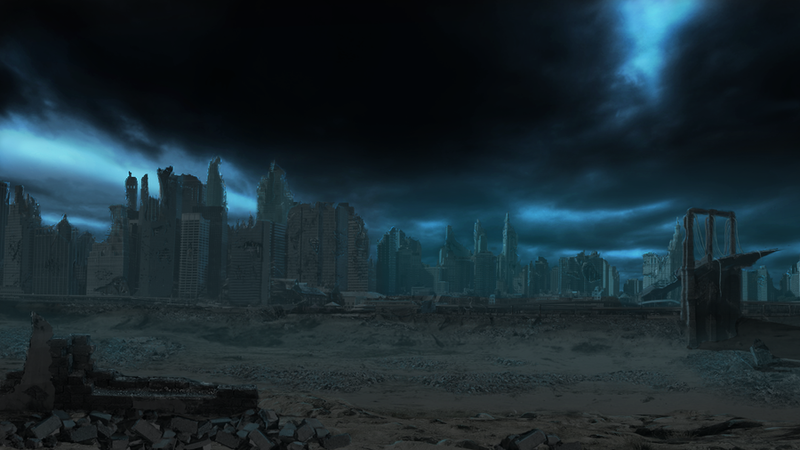 Downtown Delhi remains derelict and abandoned after the attacks by Safehold Corp against the Terran Federation. DELHI, EARTH: Square miles of city remain vacant and battered in the city of Delhi as Earth struggles to recover from the planet-wide fighting of the Terran War. Delhi represents the plight of numerous cities on earth that are struggling to recover from the vast death and destruction brought about by the fighting. Emperor Gregius Platini has, along with support from Titan Industrial, vowed to deploy geotechnical artifacts to aid in the recovery from the massive destruction and bloodshed. This has come after the Emperor declared an official state of Emergency for the planet earth. Deployment of these artifacts began approximately 125 turns ago; however the emperor has been unclear about exactly how long the boosting will continue on. Even with the deployment of the artifacts, the civilian losses from the war are estimated to have exceeded 50 million, and experts believe it could be thousands of turns before the smaller, lesser served cities such as Delhi can recover. Cayleb Arhmahk, CEO of Safehold Corp and the leader of the attacking fleets, conducted the attacks in response to the release of Gratum chemical agent by the Terran Federation, which has been held responsible for untold numbers of deaths in the galaxy, well exceeding 100 million. The agent continues to kill thousands of people per day as independent health agents struggle to contain it. After hearing reports of the high death tolls on earth, Mr. Arhmahk made an official statement: ‘The small loss of life attributed to routing out those guilty of crimes against humanity is truly regrettable. But we will not stray from our mission. Those who are still loyal to the old TF regime will be eradicated.” It appears the Emperor of Earth gave his full approval to the Safehold Corporation for the attacks prior to the combat taking place. In an official report released after the end of the war, the Imperial Advisors had initially estimated a total civilian loss of just over 5 million. Emperor Platini has come under heavy criticism for allowing such a reckless action to have taken place without having conducted a more thorough analysis of the risks involved. When asked about the criticism, Imperial officials denied making an official comment. The Terran Office of Regulatory Oversight, in the foreground, has been accused by some corporations of inefficient and poor implementation of the new guild banks. MOSCOW, RUSSIA – The Terran Federation has begun issuing new galactic statutes this week that allow for corporation-led guilds to hold funds and assets within a guild-owned bank. Previously, guilds were not allowed to hold assets or finances, and acted primarily as a way for corporations to organize together. The Terran Federation has already had to face numerous obstacles concerning the new regulations. An error in the guild taxation system has inadvertently transferred large sums of credits from the Terran treasury into individual corporation bank accounts. It is estimated that well over 1 billion credits were transferred before the issue was corrected. Other issues have arisen as well, with guild leadership seemingly still unable to purchase units with guild funds, as well as guildmasters being unable to control assets that have been allocated to the guild. The Terran Federation appears to be working on implementing these measures, though it is unclear exactly when these will be put into place. The new statutes appear to be written to allow for greater cooperation and protection for corporations operating within a guild. Numerous corporations had previously filed complaints concerning the harsh restrictions placed on guilds and have often lobbied for less restrictive measures to be put into place. Some opponents of the Terran Federation have declared that the new regulations as being long overdue, and have decried the poor implementation. These include Ark members Safehold Corp and the former JBD, the latter of whom has shunned material belongings after ingesting a form of hallucinogenic drug native to Gulyaev VII. JBD now lives in the wilderness of Gul VII as a hermit. Safehold has been dramatically scaling back operations in Gulyaev II, citing frustrations with the Terran Government. Artistic representation of the wormhole discovered by UnitedCogsRepublics. The wormhole is invisible to the naked eye. ILIAS, GULYAEV II – Standing under the gleaming towers overhead, an oppressing silence fills the famous Lubricant Square in Ilias. The now desolate tourist destination was previously vibrant and thriving center of commerce and entertainment on the west end of Ilias. It now stands as a ghastly reminder of the unprecedented economic conditions in the wake of the Exodus and the ensuing economic collapse occurring across the galaxy. Entire sections of the city have fallen vacant as more and more citizens have left for the recently discovered wormhole that leads to the Cogs homeland. As many as 500k citizens were leaving per day during the heights of the exodus, although these numbers have now dwindled to a fraction of that amount. Reports indicate that Ilias is actually experiencing marginal growth in population currently, and it is unclear if this will continue, or if it is simply from recent immigrant arrivals who are fleeing the economic difficulties felt more severly in other portions of the galaxy. Planet Earth in particular has experienced tremendous loss in citizenship due to famine and emigration. Analysts believe that total population on earth has dropped to 60 million, almost 1/3 of its population 1000 turns ago. Graphic models indicate population could drop as low as 50 million before recovering. In the meantime, numerous corporations have already liquidated their assets as the prices and volumes of products remain low. Others have begun large-scale reductions in their product offerings and standing military in an effort to reduce costs. The galactic recession has occurred after the discovery of a scientific anomaly causing ships to fall under intense fuel shortages. The resulting depression, coupled with the discovery of the wormhole, has led to shocking decrease in populations across the galaxy. Economic forecasts indicate that the stabilizing population levels in major cities in Earth and Gulyaev signals an strengthening of the economy, though it is unclear how quickly the galaxy will recover and if it will ever reach the same levels it had attained prior to the depression. Galactic News Network has ceased operation until such time that the galaxy experiences the reset planned in the distant future by the Terran Federation.